When we started in 1985, systems using a variation of MS-DOS were the only way to share data in a multi-user environment. Then came Novell and Windows networks, remote computing, and now even virtualization technology and the Cloud. 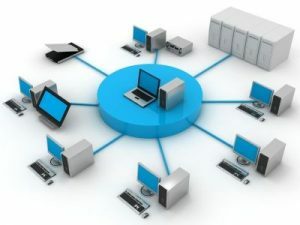 Throughout it all, we have supplied hardware that we know is stable for business and network environments. We built our own, originally, and now supply hardware from companies like HP, Lenovo, Netgear and others. Because of our history and knowledge, we can solve any hardware problem – we’ve seen it all before over the last 30 years. When we supply hardware we know that it will work in your environment. Today’s demanding environment forces small businesses to concentrate on their own industry or profession. Yet flexibility and efficiency is more important for success than ever before, and computer technology changes all the time. Most times it is less expensive in the long run to obtain hardware from us for a project than to have us expend extra time configuring unknown hardware to make it work well. When you purchase hardware through Avrom you will be assured that it won’t be too little or too much for your application.